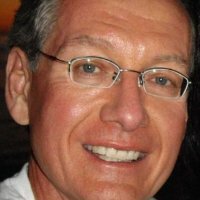 I combine my passion for conceiving of and executing innovative energy, transportation and smart environment development strategies with more than 20 years of broad-ranging technical, financial, digital and management experience to help employers / clients deliver measurable results when they are critically needed. I enjoy working on time-sensitive matters, when optimal results are absolutely essential. Local, national and international employers / clients call me when they need help with understanding customer, market and business drivers; productization; accelerating commercialization; and fact-based industry thought leadership. • Agile start-up chops—honed a sense of urgency concurrent with business / technology / management efforts at several renewable energy and biotech start-up companies. • Visionary technical management, product management and innovation experience—success at driving new product lifecycle from conception → design → build → go-to-market → first sale. Four patents; two published patent applications. Certificate in Technical Program Management from American Management Association. Periodically polish my business / management skills at MIT Sloan Executive Education. Recently received my Certificate in Management and Leadership from MIT Sloan Exec. Ed. After receiving my Executive Certificate, I was recently interviewed for the MIT Sloan Executive Education innovation@work Blog. The blog post can be accessed at this link. • Expertise navigating all aspects of the renewable, hydrocarbon and electricity value chains—diverse business and technology development experience including residential, commercial, industrial and utility-scale hardware products / software applications in companies ranging from start-ups to small businesses to Fortune 500 corporations, both in the U.S. and overseas. • A wide scope of strategic technical, digital, financial and business management expertise—S.B. and S.M. in Chemical Engineering Practice from MIT. Proven ability in skills as diverse as (1) working and partnering with my network of university, non-profit, private and public-sector leaders and stakeholders to create successful projects and products, (2) leading my 10-person team and technically contributing to a cross-functional design and procurement effort for a 1-acre 4th-generation biofuels demo plant that was on-time and on-budget, and (3) strategizing, driving stakeholder approval and then implementing product development roadmaps for various hardware and software products. Business analysis; technical analysis; project leadership; chemical engineering; electrochemistry, including hydrogen fuel cells, hydrogen and chlor-alkali electrolyzers, and lithium ion batteries; life sciences research; medical device development; pharmaceutical industry; and of course renewable energy, alternative energy, green energy and clean energy. If this all sounds like a possible fit, please contact me so that we can talk or meet. I am always looking for new opportunities and challenges in my mission-driven consulting / employment life, so please feel free to reach out to me. If you would like more information, would like to network with me, or would like to request a copy of my resume, you can contact me using this contact page, use the Zopim chat widget on the bottom right of each page here on my Web site, through messaging on LinkedIn, or with a direct message on Twitter. A good one-page overview of my experience and interests can also be found on my LinkedIn profile HERE. This is an exciting and upbeat time for today's world. Thanks for reviewing my information. I have some questions about the water electrolyzer you have developed that's capable of direct fueling at 5000 psig. We've developed new wind tech. and are researching hydrogen production, wind2h2 possibilities. Hey Kieth trying to get in touch with you. We are trying to start up a waste to gas plant but we need some support. I have sent you a private email to begin a discussion on your situation and your needs.